Artistic force--Sophomore Yana Tsyvis sits in front of the mural she completed that is located outside the Edge Media room. The mural took many weeks to complete. Tsyvis particularly enjoys creating digital sketches and painting watercolor portraits and acrylic landscapes. She has also utilized materials like clay, wood, and fabric to create three-dimensional art. Tsyvis’s teachers praise her dedication and skill as an artist. “As a student she is self-directed and driven. Her work is very unique and it’s always exciting to see what she is working on,” art teacher Katarina McKinney said. “Art has become a very strong language for Yana and she speaks it fluently,” art teacher Earl Procko, who had Ysyvis in his Animation class, said. ure, history, and her personal outlook,” Minor said. Tsyvis admires many artists including Korean painter Kim Tsang Yuel, who is known for his paintings of water droplets, and Syan Reese, a junior at the Rhode Island School of Design whom Tsyvis describes as having “the most unique” approach to drawing she has ever seen. One of Tsyvis’s recent artistic projects is the mural outside the Edge Media Lab. According to audiovisual teacher Evan Foreman, the mural’s intent is to raise awareness among students about the new media room. Tsyvis cites comics, the audiovisual room, and her fellow students as inspirations for the mural, which features an explosion framed by cartoon snapshots of experiences to which members of the audiovisual team can relate. “I thought it would be nice to make this wall look more interesting, give it some meaning and show students who don’t know about AV what is it we do there. Also, it’s quite an honor to have your art being seen by a great number of students or teachers every day,” Tsyvis said. She began the process of creating the mural by making sketches of her ideas. With the idea finalized, she planned the final piece by first digitally drawing an explosion and then overlaying the sketch on a photograph of a wall. Tsyvis then sketched the rest of the mural on the photograph. Beginning in August of last year, she worked on the mural for one to two days per week and finished at the beginning of this school year. The materials used in creating the piece included pencil and acrylic paints. “It’s so vibrant and eye catching that it draws people in to look at it and study everything on it. 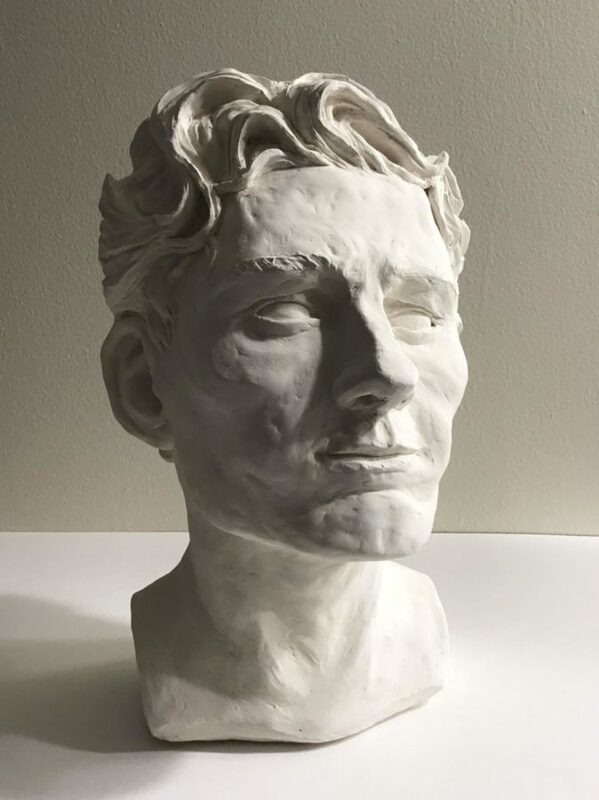 It’s an amazing piece, and certainly one of Yana’s best,” sophomore Harper Gantkin, a friend of Tsyvis’s, said. 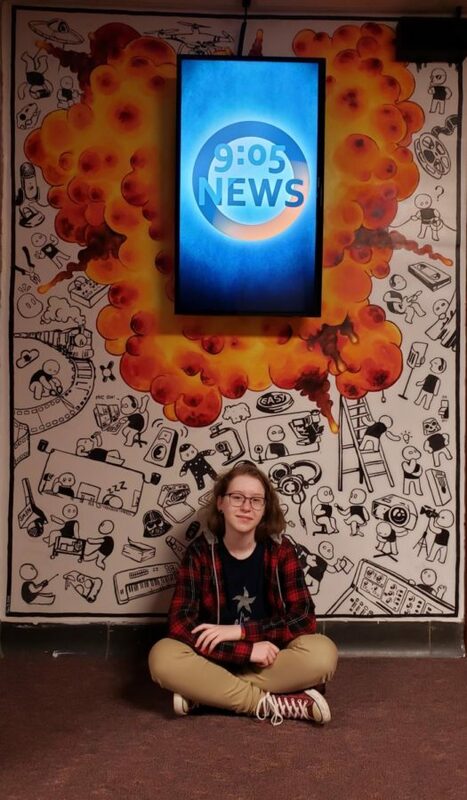 In addition to the mural, Tsyvis has recently designed logos for the 9:05 News and the Edge Media Lab.